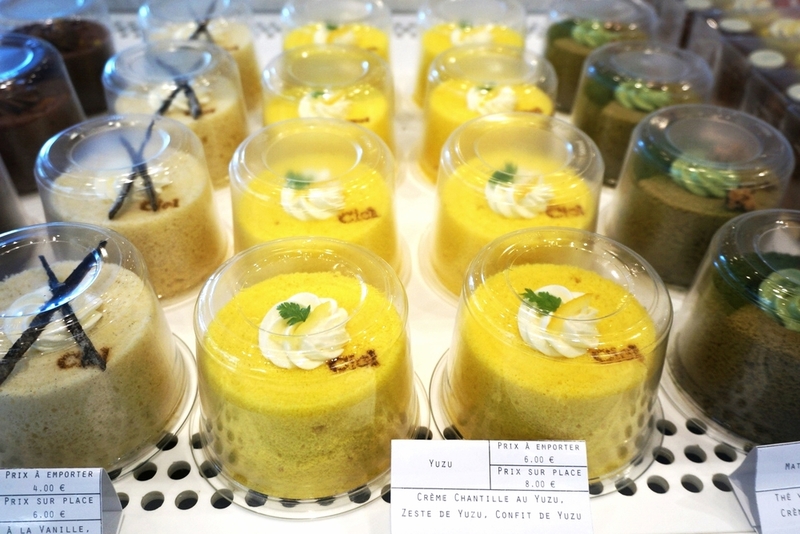 Patisserie Ciel combines simplicity with Asian flavors and absolute precision and consistency in cake making. They make beautiful variations of angel cake filled with delicious cream centers. I tried the yuzu and the chocolate and was stunned by the lightness of the cake with the flavorful centers. Their take away boxes are some of the most beautiful packaging I've ever seen and great for gifts. Now on to some of my summer favorites in the picture above! I love light nail polish colors for summer like Essie's Fiji or a good white nail polish, but I have to say Chanel's Frenzy is my absolute favorite. When it comes to sunglasses my mom and I always fight over who gets to buy our favorite pairs of the season and often end up buying the same ones and these are no exception (Prada tortoise sunglasses). I love that these sunglasses are light on the inside and have a tortoise shell look on the outside, perfect for summer. I like to keep my jewelry dainty in the summer with simple thin gold and silver rings from Anna and mix things up with a little sparkle from J Crew. Last, but not least Bobbi Brown cream eye shadow in bone (01) is easy to apply and lightens up your eyes for a refreshing summer look. Let me know if you have any summer favorites I should try out! Thanks for reading and don't forget to sign up for emails in the side bar, or follow us on instagram or bloglovin for more updates!